Well now it is 2018 and that doesn’t apply today. Over 30% of millennials report that they engage with a brand on social media at least once a month; that means your strategy can’t only be about existing on social media. Brands and companies must be completely invested and focused on engaging their audience, or else you’re going to miss real customers, which is bad for your bottom line. 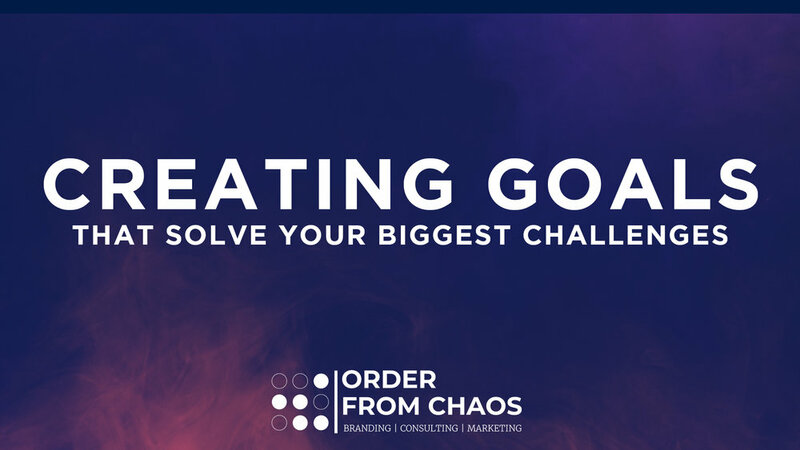 We want to provide you the clear, concise goals to increase your brand’s footprint on social media and to help get you on the right track! The first step to accomplishing any plan is to clearly define your goals. Marketing on social media isn’t about creating a single post and calling it a day. Instead, you need to actively be planning your social media posts with an easy to use content calendar. It is important to understand that brands should never take on every single social media channel in their current marketing plan. Choose the channels that have the most impact based on your brand’s goals. Simplicity will take you a long way. increasing Brand Awareness: You’re going to want to avoid having a long list of promotional messages. Focus on impactful, meaningful content with a strong brand personality that will engage your audience throughout your social channels. Higher Quality Of Sales: Monitor and listen to specific keywords, phrases, or hashtags. You’re going to want to know what your customers are talking about and associating with your product/service in order to effectively communicate to them and increase the quality of your sales. Drive In-Person Sales: Is your brand promoting enough content on social media that will reward people who come to you? How are you driving content that alerts your customers to what’s going on in your stores? Improve ROI: It can happen so easily - you think that advertisement is going to knock it out of the park…then a few days later, you’ve spent $200 and received no return on investment. You can never audit your channel and advertisements enough! Make sure you are paying attention to what works, and break it down so you can replicate it over and over again! Create A Loyal Fanbase: Are you promoting user-generated content? Are your followers interacting with your brand without any initiation? Getting to this point takes time, but it will pay off! You need to create a unique persona for your brand. Better Pulse On The Industry: Watch your competitors. What are they doing that seems to be working? What kind of content are they pushing out? What kind of voice does their brand have? Pay attention to your competitors and keep track of how they are marketing! This information will come in handy.